The piece of wood engraved with Sir Isaac Newton’s initials from the tree which inspired him to formulate the theory of gravitation was returned, yesterday, to its home at the Royal Society. 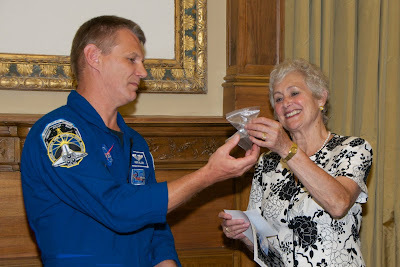 The section of wood from the tree from which Newton famously saw the apple fall was taken into space, on May 14th, by the astronaut Piers Sellers on the NASA mission STS 132. Sellers also took with him an image of Sir Isaac Newton, a former president of the Royal Society, as part of the 350th anniversary celebrations of the Royal Society. 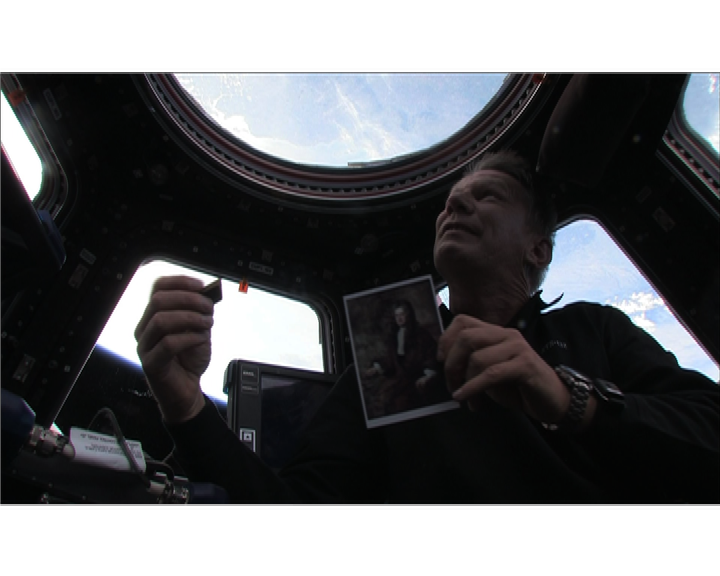 The piece of wood and the picture spent 12 days in space with Sellers who videoed them flo ating in the space station. They are now on display in the Royal Society’s exhibition 'The Royal Society: 350 Years of Science'.